Get out and about in Newcastle - Stranded Passengers. Although the UK isn’t known for its stunning weather, it has its fair share of beautiful days and you can definitely make the most of these if you’re on a city break in Newcastle. There are some amazing outdoor attractions, so we’ve put together a selection of a few of the best. Make sure you give some thought to your accommodation when you’re organising your trip. There are some great central hotels in Newcastle that will put you within easy reach of many of the following attractions – and if you have a car you can explore the amazing Tyne and Wear and Northumberland countryside. When you visit Jesmond Dene, you’ll feel as though you’re a million miles away from the hustle and bustle of the city. This beautiful valley is one of Newcastle’s hidden gems and it’s the perfect place for a stroll on a sunny afternoon. The Dene spans 3 km and is crisscrossed by a variety of paths that you can follow as far as you’d like or simply find a tranquil spot for a bit of quiet contemplation. 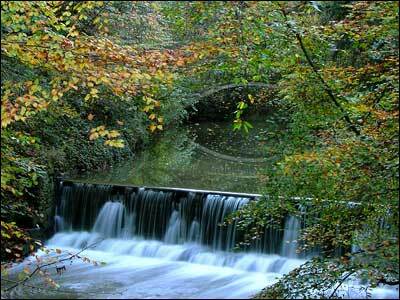 You’ll also find a visitor centre, cafe and toilets at Millford House, close to the entrance to Jesmond Dene. Keep an eye out for some of the wildlife that inhabits this protected green space – such as kingfishers, red squirrels and woodpeckers. If you’re visiting Newcastle with the kids, make a beeline for Pets Corner, where you can see everything from alpacas to bunnies. If you’re looking for an outdoor attraction with a historical spin, pay a visit to Beamish Museum. This is just outside of Newcastle, in the heart of the County Durham countryside. It’s a living museum, allowing you to wander around and discover what life was like in the north of England in the Georgian, Edwardian and Victorian eras. There are reconstructions of various buildings and workshops where you can get a real sense of how life used to be and see, first-hand, how the Industrial Revolution significantly changed this region of the country. Leazes Park on Richardson Road is the oldest green space in Newcastle and it’s a great spot to enjoy the great outdoors. It has been restored to its original design, including its ornate gateways, lake and terrace with urns and statues. The park was first opened in 1873, although the local council continued to add to it until the 1890s, when it was eventually considered to be complete. There’s a lot to enjoy here, whether you just fancy a stroll in a green space, want to take the kids to the playground, or have a go at angling in the lake. Just one mile from Newcastle city centre is Ouseburn Farm, a community project that’s designed to give people from all walks of life the opportunity to experience life on a working farm. There are regular volunteers who tend to the crops and livestock, but Ouseburn Farm is also open to visitors, where you can go and see how the local community has fully embraced the scheme. It’s a great place for families, as it gives kids the chance to get a glimpse of agriculture and the countryside without having to go far from the city, and teaches them a bit about what’s involved in running on or working on a farm.